Northumbria University is delivering master classes to equip health care professionals with the skills and confidence needed when dealing with difficult clinical conversations. 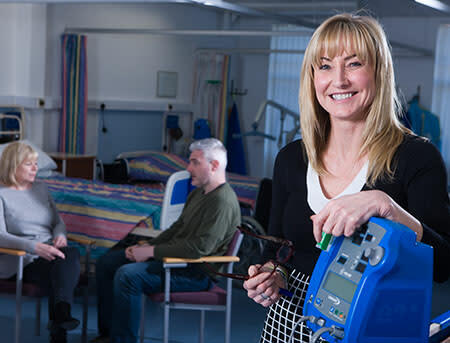 North East hospital trusts and hospices approached Northumbria University for a solution that would build on the communication skills of their clinicians and nurses who need to hold difficult conversations with patients, carers and staff. The delivery of life-changing news is a situation which requires the utmost sensitivity throughout the health care profession. 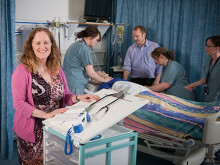 Gillian Walton, Director of Programmes in Northumbria’s Department of Public Health and Wellbeing, developed a communications master class for clinicians from different disciplines including nurses, radiographers, and physiotherapists in response to the hospitals’ requests. Using actors to play the role of patients, health care professionals are able to develop and test the best ways to prepare for, and respond to, situations they may face when dealing with patients. 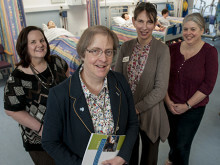 More than 200 health care professionals have now benefitted from the course. Gillian leads the Managing Difficult Situations module in Northumbria’s Continuing Professional Development (CPD) framework and has been trained as a recognised National Advanced Communication Facilitator by the Department of Health. She said: “Having effective communication skills is important for every health care professional. Sensitive news delivered poorly can become a negative experience that lingers in the minds of patients, families and clinicians. Sharron Surrey, Ward Sister at Queen Elizabeth Hospital in Gateshead, completed the course two years ago and has been a qualified nurse for nine years. She said: “The communications master class has helped me considerably. No-one likes to do role play, but it really enabled me to think about the reason behind someone’s behaviour. 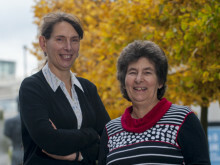 A new research project looking at how mentoring may lead to improvements in doctors’ health and wellbeing has received a prestigious grant from the British Medical Association. In 2009 Newcastle Hospitals NHS Foundation Trust identified the need to develop a new kind of medical professional to support medical staffing of intensive care units in response to variations in recruitment, retention patterns of medical staff and working time regulations. New research from Northumbria University could revolutionise the way nurses care for the older people. 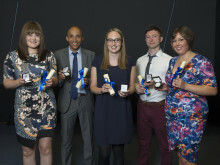 Five Northumbria University students have been presented with a prestigious award for their efforts while training to become nurses and midwives in local hospitals. Alexander Maine, PhD candidate and a lecturer in Law at Northumbria University discusses preventative HIV drug PrEP and its availability. ​Northumbria University’s excellent reputation in developing bespoke training courses for global organisations has led to Thailand’s Ministry of Public Health sending its fifth delegation of staff to learn in the North East of England. A delegation from Thailand’s Ministry of Public Health has visited Northumbria University, Newcastle, to see how the University is using simulated patient mannequins to educate its nurses. 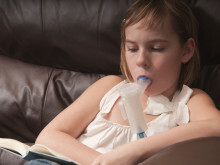 British cystic fibrosis patients who receive lung transplants fare significantly better in the long-term than Americans with either public or private health care insurance according to a new study published today (Tuesday 24 March).